Mike Micho is my kind of collector. Let other collectors dive into the scrum to get the starting nine’s autographs. Mike, the self-proclaimed “Tigernut,” (his handle on the http://www.sportscollectors.net/ forum) is telling the team’s story by collecting the groundskeeper, front office folk — anyone who helps Detroit win. Q: How did you get started with Tigers autographs? A: I`ve been collecting Detroit Tigers and other baseball/football/hockey/basketball autographs since 1989, however, I began specializing in Detroit Tigers players,managers,coaches,announcers, and other Tigers personnel TTM in 2001 after reading a book about the complete history of the club. It got me thinking and put the idea in my head to somehow attempt to collect at least one signature from everyone who wore the old English D from the 1934-35 A.L. Championship teams to the present. I didn`t really know if I could achieve this, but once I got started I became instantly hooked! A handful of my signatures over the years have been in person from ballgames and card shows, but most of them have came TTM and with other trades/deals with other collectors. Q: What was Tiger Stadium like for an autograph collector? A: When Tiger Stadium was the home of the Tigers, it was a great place to get players signatures from both the Tigers and visitors dugouts. The dugouts were small and easily accessible, along with the open bullpens down each foul line. You were so close to the field, it was really wonderful. 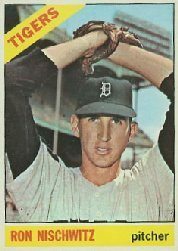 At Comerica,I have found it to be much easier to get Tigers players to sign compared to the visiting teams,however,I`ve never gotten as many at Comerica as compared to Tiger Stadium. Q: Are you Detroit area? A: No,I don`t live near Detroit. In fact, I live 150 miles away in Mid-Michigan, Essexville, MI, near Lake Huron. I`m lucky if I get to 4 to 5 games a year. I`ve been able to obtain many former Tigers greats at cards shows throughout the state of Michigan over the years, especially at a place called the Gibralter Trade Center located in Mt. Clements and Taylor, Michigan. These use to be huge card shows that took place twice a month. However, there aren`t as many shows lately, due to the economy in Michigan the last few years. Q: Who are some out-of-uniform Tigers family members you’ve collected? A: The non-players I`ve collected with the Tigers organization have included former GM`s (Randy Smith, Bill Lajoie), announcers (the great Ernie Harwell, Ray Lane, Dan Dickerson, Paul Carey),and even the head groundskeeper Heather Nabozny. She`s one of the best in the game today. I sent Miss Nabozny a Signature Card to sign,and it came out great. Owner Mike Illich has also been kind enough to sign for me. Q: Have you tried making Tigers custom “cards”? A: I have on occasion made my own cards to have signed that simply have the English D on them. I found the perfect size on Google Images. Most of my signatures are on standard issued cards or Signature Cards. I`ve also got quite a few signatures on blank IC`s for some of the older players from the 30`s, 40`s,and early 50`s. Q: What are the letters you mail like? A: The letters I send are handwritten, always include how I became a lifelong Tigers fan, why I love the game and the Tigers so much, and what the team has ment to me over the years. I don`t believe “form” letters are personal enough, and I`ve even received notes back from mostly older players that say the same thing. Most of what I send and ask to be signed are cards, but occasionally I have sent 8x10s, IC`s, and magazines (or photos I`ve taken at ballgames). Q: Have you asked questions by mail? What answers have you gotten? A: I`ve received quite a few responses and notes from mostly the older players over the years, answering questions or thanking me for writing and being a Tigers fan. The strangest one I received was from former pitcher Ron Nischwitz, who sent me a two-page handwritten letter,answering my questions and thanking me for writing. Then, two weeks later, I received another letter from Mr. Nischwitz asking me if I knew or knew how to locate a former player he had on his team when he coached baseball at Wright State University in Dayton,OH. in the 1980`s, who lived in Bay City,MI. (Essexville is a suburb of Bay City were I grew up). He stated this player was his catcher and was referred to him by Tony Lucadello, a scout for the Cubs and Phillies at the time. He then told me he`d really like to this players’ address or phone number, but never stated why? I loved it,he wanted me to play PI for him! I did look,but could never locate this player. Jokingly,I would have told him it would have cost multiple signatures for this information! Q: Are you picky about what signed items you’ll collect? A: Well, I feel “to each his own,” however, I don`t feel that way. I myself,am extremely happy if I can receive any former Tiger on anything. In fact,one former player from the late 20`s-early 30`s,catcher Ray Hayworth, I only have on a cancelled check,and I`m thrilled to death to have him!There are also a few players that only played a handful of games,or only played in the Tigers Minor League system that I have gotten a Tigers replica jersey that I`ve been getting signed since 1995 (it also contains HOF`ers George Kell, Sparky Anderson, Hal Nwehouser, Al Kaline). Yes,I`d love them on cards,but just to have them is what`s important. Q: Are you working on special hobby projects? Q: Advice for team-only collectors? A: My advice to anyone thinking of collecting a certain club: first, make sure you pick a starting point(year/season) of where to begin your collection, possibly the year you were born, last championship team,etc. Second, if possible, try to start with the oldest players (or other personnel) from that first season. I didn`t always follow that advice and ended up missing out on a few players before their passing. If you do miss out on some players,remember,always be on the lookout for possible trades or sales of former players on collector sites, it has helped me out a lot. Thanks, Mike. I hope your Tigers give you some collectible October memories!